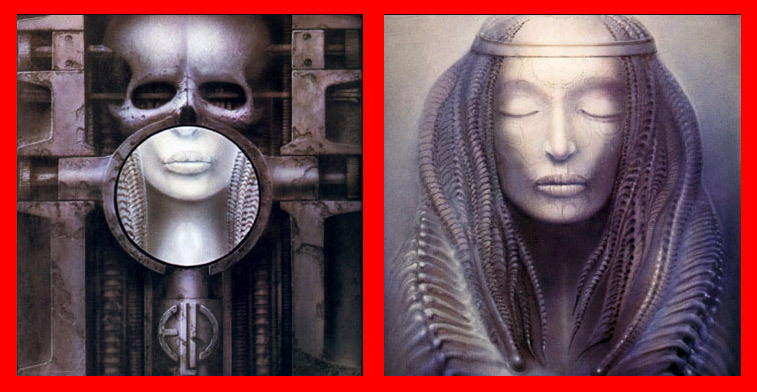 Work # 217 and #218, ELP I and II, 1973, the cover designs for 'Brain Salad Surgery' by Emerson Lake & Palmer. 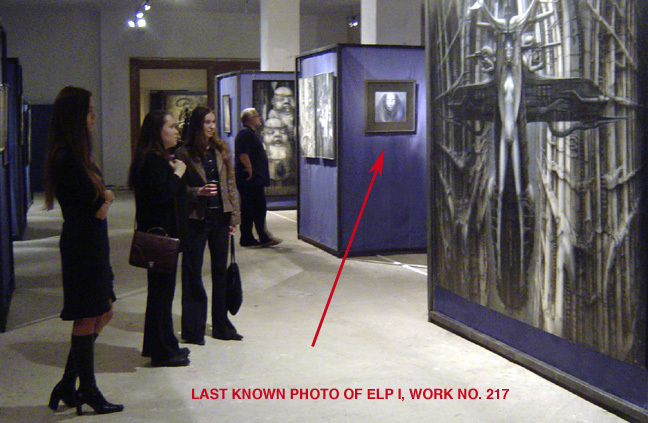 A reward of $10,000 is being offered for information leading to the recovery of these two world famous paintings, ELP I and ELP II, two H.R. Giger in 1973, for the record cover of‚ “Brain Salad Surgery”, by Emerson Lake & Palmer, the progressive British rock band. 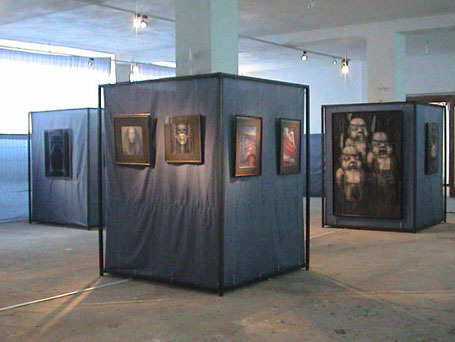 The paintings were last seen at the artist's 2005 retrospective at the National Technical Museum of Prague in the Czech Republic. Each painting measures 34 x 34 cm (without a frame) "H.R. Giger in Prague" ("Mimi Dobro"), ran from April 14 through August 31. When the show closed the two paintings were still safely in their place. After the show was taken down all the artwork was stored in a locked room at the museum over the weekend. On Monday September 5th, the truck with all the artwork left for Switzerland. When the shipment arrived at the H. R. Giger Museum in Gruyeres an inventory was taken and it was discovered that the two paintings were missing. A reward of $5,000 for each painting, plus an all expenses paid weekend at the HR Giger Museum, Chateau St. Germain, in Gruyeres, Switzerland is being offered, no questions asked, to anyone who will provide the information leading to these painting's successful recovery.